What does a ski instructor do in the summer? 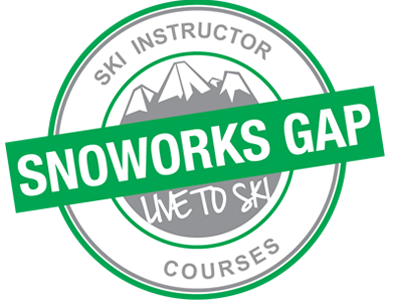 SnoworksGAP Ski instructors – What do they do in the off season??? Ever wondered what a SnoworksGAP ski instructor does in the summer? So I thought a quick blog telling you what the team at SnoworksGAP get up to in summer might be fun! In the summer I live in the beautiful North Yorkshire Moors with my girlfriend Polly and dog Beaufort. The ski boots don’t really get hung up for me, I can be found in the Snowdomes and Snowcentres of the UK running 1 day moguls courses for Snoworks Ski Courses and SnoworksGAP. I also train and assess some of the Alpine BASI level 1’s in these centres. In July you will find me running summer ski training courses on the glacier in Tignes (amazing, you must try the Alps in summer!) In August you will find me hosting the Snoworks adventure ski trip to Chile and Argentina. However when the ski boots are off, I am either in the office promoting and marketing SnoworksGAP at schools, clubs, uni’s and GAP events. Or I am out in the hills of North Yorkshire riding my road bike, which if you follow SnoworksGAP on Instagram you will be aware of. I find the benefits of cycling not only less harmful to the skiing joints, but also a fantastic way to keep the heart, lungs and legs strong for the ski season. #strongskilegs is a regular hashtag on our Instagram in the summer months. For down time I enjoy walking and training my lovable Labrador ‘Beaufort’ (named after the best cheese in France) and eating out and spending time with my girlfriend and friends. Phil and his family live in Tignes all year round, and savor the delights the Alps have to offer year round. The summer month’s find Phil in a three way split. Firstly he enjoys a well deserved break taking holidays with his wife and three awesome boys, he also spends his time marketing and promoting Snoworks Ski Courses and SnoworksGAP, working alongside Linda and the other staff to create the fantastic courses, locations and holidays for the following twelve months. Thirdly he enjoys keeping fit in every form you could possibly mention as opposed to just cycling like myself. You can find him (with Emma and the boys) cycling, swimming, mountain biking, kayaking, climbing, running, skiing, the list goes on and the thirst for this entire family’s love of everything outdoors is truly admirable and to many onlookers, exhausting! Emma lives all year round with Phil and her three boys in Tignes, and whilst she spends most of her time trying to wear out her three boys (good luck) she also works on developing the courses for Snoworks, marketing and sponsorship. Her thirst for all sports and forms of fitness means she does everything with her boys that I mentioned on Phil’s summer fun and then goes and smashes out a circuit of ‘battle ropes’ and ‘TRX’ just to make sure she is sufficiently ripped and on fire to train and inspire the Eurotest candidates on the glacier each July and autumn. In her down time she enjoys holidays with her family and popping back to her original Scottish homeland to visit her family there. Rupert like myself doesn’t find himself out of ski boots very often, his passion for teaching means he regularly works for BASI running training and assessments in Austria, Argentina, or New Zealand. This year is a major highlight and achievement for Ru, as he is going to represent BASI in the Interski demo team in Cerro Castor in Ushuaia, Argentina. 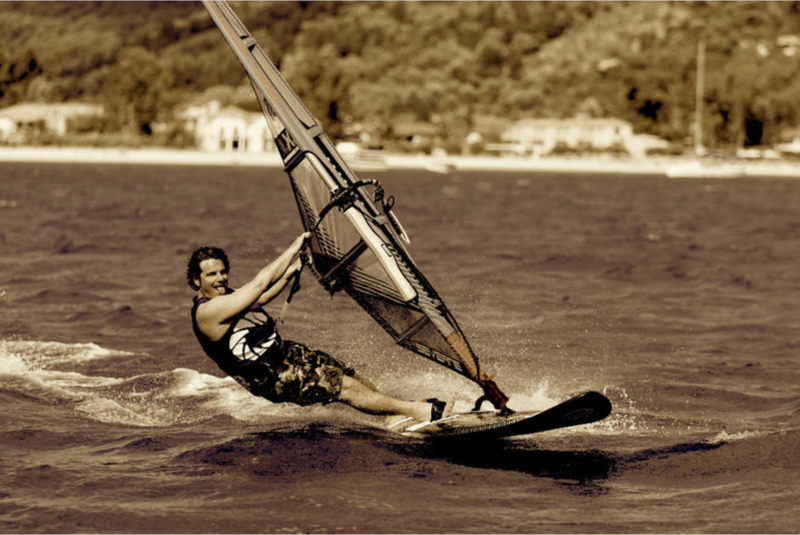 In his down time Ru is a keen and strong wind surfer and enjoys trips to Spain, Italy and Brazil to enjoy his sport. He also has a keen interest for collecting non-ubiquitous classic watches. Nick just spends all summer smiling! I joke, but for those of you that already know him you will know what I mean. Nick spends all year living in the small Alpine village of Viclaire near St Foy with his wife and two lovely kids. He works on the glacier for Snoworks Ski Courses in July up in Tignes, enjoys family holidays and mountain walking and camping. He also shares my obsession with the benefits and pleasures of the road bike and can often be found cycling from France to Italy over the col du Petit St Bernard for a fantastic pasta lunch with his wife Elaine. He is also a very skillful handyman and spends a lot of his summer renovating and redecorating apartments. And finally, if you are ever lucky enough to get invited to Nick’s for a curry be sure to say yes, this man cooks a blinder! Mike has a very different summer to most ski instructors and certainly to the rest of the SnoworksGAP team. Whilst he spends a lot of his time in the office working with Linda and Phil to create the fantastic new program and promoting Snoworks Ski Courses and SnoworksGAP he lives with his wife Millie in Dubai! Mike is now qualified as a scuba dive instructor and spends a lot of his summer enjoying the reefs and dives in the surrounding waters of the UAE. He also works part time with Snowsport England providing consultancy to the UKCP and assistance with the UK conference. Euan also live year round in the French Alps (lucky bugger I hear you say!) with his wife Jenny and son Ted. He can also be found up on the Tignes glacier for Snoworks Ski Courses in the summer months, however Euan is more often found dangling high above the ground, as his full time summer job is doing rope access. He enjoys family holidays and mountain walking and camping in his down time and currently prefers the motorbike to the road bike, but Nick and I are working on him!